Opposition Chief Raila Odinga has told embattled Migori Governor Okoth Obado to carry his own cross in the case involving the killing of the slain Rongo University student Sharon Otieno. Governor Obado has been charged with murdering an expectant 26-year-old Rongo University student, whose body was found at a forest in Homa Bay on September 4. He regretted the death of Ms Sharon and her unborn baby likening their murder to witchcraft. “It was unfortunate that a very young woman and her angel were murdered brutally. If the killers didn’t need the child or the mother they should have spared their lives,” the ODM leader said. According to the Luo culture, Raila said such an act is a bad omen to the society. Governor Obado is currently admitted at Kenyatta National Hospital after he fell sick while in remand at Industrial Area prison. The county boss was rushed to the facility on Wednesday morning after he fell sick at an Industrial Area Police cell. On Thursday, September 27, High Court judge Jessie Lessit ruled that Governor Obado be detained until October 8, 2018 when his bail application will be reconsidered together with that of his co-accused. 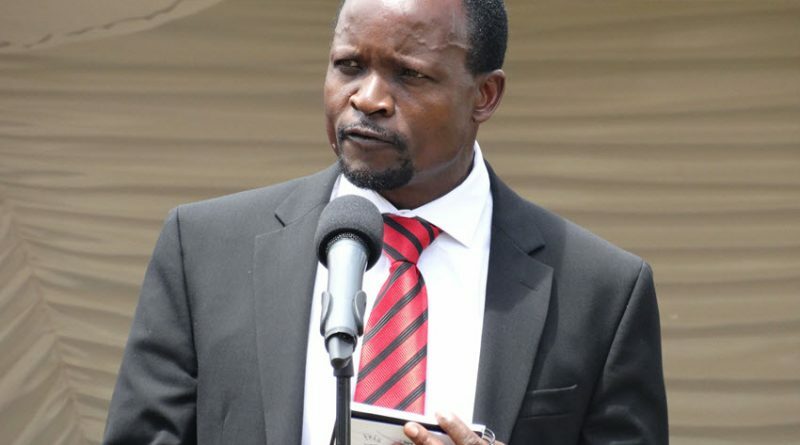 The government has since denied reports that Migori Governor Okoth Obado is being accorded preferential treatment at Industrial Area Remand Prison.